Last time I posted, I wrote about the Middleton family who owned the plantation called Middleton Place near Charleston, South Carolina. Today I’d like to share information about the slaves who lived there, who labored to build, maintain, grow and harvest the crops that provided the revenue to let the plantation survive for hundreds of years. In the years between the Civil War of the 1860’s and the 1970’s when the plantation was opened to the public, the issue of slavery was an awkward subject. It’s hard to admit that ancestors were a part of such a despicable institution. It was the elephant in the room. Yet many slave descendants still live in the area. It’s hard to know all the facts because there are few written records created by slaves, and even oral history is marginal. Yet here’s the main fact: In the late 1600’s Edward Middleton and his brother began a legacy of owning up to 25 plantations in South Carolina encompassing 63,000 acres! How could they possibly do the work to run these properties? By owning 3500 slaves. Rice was the main crop in these low-lying lands, and the Middletons perfected the process. In 1698 they exported 12,000# of rice, by 1730 they were exporting 18 million pounds, and by 1770 the number had risen to 83 million! I will share how rice was planted and harvested in an upcoming blog. The Middleton plantation was also in the timber business, dealing with its byproducts of pitch, turpentine, and tar. They also made blue dye out of indigo and raised cattle. Where did the Middletons get their slaves? The slave trade was going strong in Western Africa even in the 1400’s, but as the Americas were populated by Europeans, the need for laborers grew. Slavery boomed. Yet slavery was a part of African life even before the Europeans got there. Tribes would steal people from enemy tribes, enslaving them. Yet that was obviously different than the European slave-trade that took people away from their families and homeland, relocating them across the world. Yet the European slave traders did their business by trading with African rules, goods for slaves. In the trade the rulers got white sugar, alcohol, iron, copper, and brass objects, carpets, spices, fish hooks, needles, and pins. And guns. The European slavers got the rulers’ enemies who’d been captured in battle, along with ivory, gold, and animal hides. The African rulers brought their people-commodity to the coasts. Rarely did the European slavers have to go inland to get slaves. The journey of the slaves was long and miserable. When they were captured by the rival tribe, the rulers would take them to coastal forts to await the European traders. 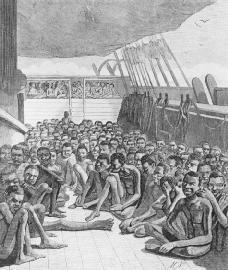 Then they were tightly packed onto ships for the “Middle Passage” across the Atlantic which could take from 4 weeks to 4 months. They were fed, but the food was of poor quality. Fresh water became scarce. The slaves were forced to exercise, but there was no sanitation so disease spread. There were many suicides. The sugar plantations in Brazil were the largest market for slaves, taking 35% (almost 4 million). Other slaves would go to the West Indies, and then to North America. Sixty-percent were dispersed among the Caribbean islands (5.8 million) and 5% (500,000) continued on to North America. Charleston was the main port of entry. Add all these numbers up and you have 10.3 million slaves! By the time the direct importation of slaves from Africa was made illegal (in the 19th century) most slaves traded were born in the Caribbean or in North America. They were many generations away from their African roots. 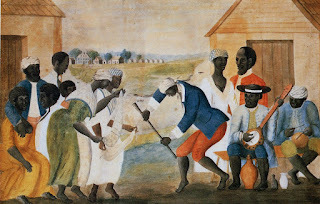 South Carolina plantation owners had their preferences as to the origin of the slaves they purchased. Slaves from Upper Guinea brought the highest price because they had knowledge of rice cultivation and livestock. But Calabars, Whydah, Ibo, Bonny from Bights of Benin, and Biafrans were small and slender, “recalcitrant” and had a “tendency to suicide.” Thomas Middleton imported and sold slaves. In South Carolina the slaves had to adapt to their new circumstances or die. To preserve their identities and their tribal traditions they created the Cullah-Geechee culture. Slave clothing was distributed in December and though cloth was loomed at Middleton, some of the cloth was bought and then made into clothes on-site. Shoes, handkerchiefs, and hats were factory made. Fancy livery uniforms were made by tailors in Charleston. Coachmen wore the livery and often spread news (back and forth) between the plantations and Charleston. At Middleton Place (and elsewhere) there was a “task system” where each slave was assigned a task—similar to being given a quota for a particular job—and once they’d accomplished that task, their time was their own. During their free time they could plant private gardens, hunt, fish, and have family and social time. Some of the tasks were Hoeing Rice—1/2 acre, or Cutting Wood—1 cord, or Mortising Posts: 60 posts. The slaves brought medicinal knowledge with them, mixing herbs into “physicks”. These potions were often embraced by the white families. The slaves made these concoctions in small clay pots, which were broke after using once. Three-thousand shards of such pots were found in Middleton Place in the 1970’s. Similar pots were also used for food, and were called Colonoware. Although the slaves brought their idols and rituals with them, in later generations Christianity was embraced, or a mixture of religious beliefs and traditions. On Sundays services were attended in the chapel. Carolina law did not recognize slave marriages, but at the Middleton plantations, they were recognized and celebrated. The Middletons wanted their slaves to marry, for a married slave was less likely to run away. Sometimes they would marry between plantations, with each spouse living on their own plantation. The husband was allowed to occasionally visit. Any children born became the property of the wife’s plantation. Weddings were big celebrations at Middleton Place with feasts of foods supplied by master and prepared by slave cooks. The slaves at Middleton Place often got three days off at Christmas, a free day after hoeing the rice field or plowing, and after harvest. Most slaves at Middleton were field hands—strong men and women. In the early days, fields had to be cleared of timber and the land made ready for the planting of rice, which is a very labor-intensive crop. As was representative of the way things were done in Africa (in all civilizations) where tasks were divided by age and gender. Men cleared the fields, women sowed the seed, cultivated the plants, and harvested them. And children shooed away birds from the seeds. The slaves had to develop many skills as the plantations tried to be as self-sufficient as possible: carpenters, brick-layers (bricks were made on-site), engineers, coachmen, gardeners, seamstresses, and cooks to name a few. Most slaves combined old African ways with American methods. Schooners from Middleton would go up and down the Ashley River taking and bringing goods to other plantations and to town. These schooners were manned by slaves and even captained by slaves. 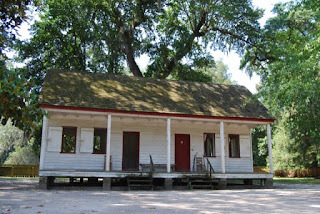 Slave labor built the Middleton Place homes and other buildings. Slaves developed their specialty talents that were often subbed out to other plantations. Many took pride in their skills and their work. The lush gardens and ponds at Middleton Place were created by slave labor, with exotic plants grown in the greenhouse, and the terraces and formal gardens toiled and tended. House servants included house “wenches” (maids), cooks, seamstresses, a barber/doctor, hairdressers, and house servants who served like a butler and housekeeper. It’s interesting to note that in a 1793 estate inventory, a slave Daphne, who was a seamstress, is listed as being worth 5£ more than her husband, the house’s steward/barber/doctor. Having a talent had its advantages, as the slaves were able to feel some satisfaction in using their skills, not just laboring. Another problem for the master was too many slaves with not enough to do. In such a case, Henry Middleton moved some of his slaves from Middleton Place to one of his other plantations. There are some interesting notations by Henry in 1779 for slaves moved from South Carolina to Georgia and East Florida: “Wanney: Gone with the Hessians to York”, “Pompey: Gone to back part of So Carolina”, “Will: Used to stay with Miss MacIntosh”, and “Buck: Died at the lines in Charleston”, along with various mentions of death due to small pox. The Middletons also had a home in Charleston (16 miles away). Henry Middleton was the governor of South Carolina and took house slaves with him to Charleston. When the family traveled away from both homes, the domestic slaves staying at the Charleston house could be hired out for special dinners and such. Law said they had to wear a metal badge that said SERVANT and specified the work they could perform. These badges cost between $2 and $7. The master took the money, but often gave a portion to the slave. Rarely masters gave the slaves all the money. What happened with slaves that were too young or too old to work? They were often assigned tasks that would support the other workers. They took care of the slave children, and made meals for the workers that were taken out to the fields. How did slaves rebel? They slowed down their work. But with the task-system this often backfired as they needed to get done a certain amount of work in the day and slowing it down gave them less free time. At Middleton Place, in “Eliza’s cabin”—the cabin used after the Civil War by a freed slave—is open to visit. There you can see a list of the slaves of the Middletons, divided by plantation and years, listing their names, often their ages, their skill, and what they were worth. Included is a list of six escaped slaves in the mid-18th century, listing the reward for their capture. Studying the lists the most expensive slave was Carolina, worth 200£ with most men listed at about 100£ except for Sam who was worth 150. Most women were worth between 30 and 100. Smaller sums (10 and 15£) probably were children. In 1815, the driver July was listed as worth $1000, and in 1846 “ole Tyra” had a worth of zero. Skills are listed: “John: A very fine bricklayer”, “Die his Wife a Washer ill in Bed.”, “John Baptist, Bricklayer (old Fellow)” “Mary, House wench & Pastry Cook”, and under “Beck, seamstress” was this notation: “Her son Insane supposed to be rather an encumbrance” had a listed worth of zero. Although these lists are disturbing because they reveal the bold existence of slavery, the lists also give names to all the anonymous slaves, making them real. And I love some of the names: Quash, Doll, Superannuat’d , Cuffy,, Die, Amerinthia, Seipio, Rhynah, Mingo, Shallow, Quaco , Big Rhina, Walney. During times of war slaves were used for the Cause. In the Revolutionary War they were used to build fortified earth works around Charleston (both sides used them). Some escaped and joined Hessian regiments, where they were known as the Black Loyalists. After the war they were evacuated to Nova Scotia and New Brunswick as freemen. In the Civil War the Confederates used slaves to repair railroads and make Charleston fortifications. at Middleton Place until the 1930's. The Middleton plantations were occupied by Union forces in the early days of the Civil War. Slaves were known as “contraband” and were encouraged to join the U.S. Army. Charleston fell to Union forces on February 17, 1865. Many of the Middleton slaves rejoiced and asked to go with the Union soldiers. Middleton Place was burned by Union soldiers, and many of the slaves were loaded onto schooners and flats and went to Charleston. After the war, some returned to Middleton and worked on the plantation as free men, for payment of housing and a token wage. Others in Charleston got jobs and raised families. Times were hard and there was much to rebuild, but the economy had been forever compromised. There was no way to plant and harvest rice without slave labor, so the plantation faltered as it tried to adjust to the post-war world. Williams Middleton attempted to mine phosphate, and many former slaves worked for him, but that work was almost more grueling that field work and the business failed. Middleton Place fell into disrepair until Mr. and Mrs. J.J. Pringle Smith (descendants of the Middleton family) took it over in the 1920’s. 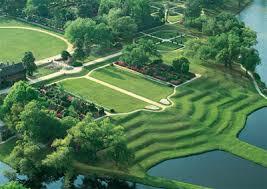 The once manicured lawns and gardens were overgrown and the entire place in need of repair. Mrs. Pringle Smith worked tirelessly to reclaim the gardens. Many descendants of slaves worked for the Smiths in the house and gardens. For more information I highly recommend visiting Middleton Place (see my blog post here.) Also informational is the book Beyondthe Fields, Slavery at Middleton Place. That was so interesting, Nancy. I especially enjoyed reading about the reunion. Thanks for a very interesting post, Nancy. When my husband and I were in the Charleston area while doing research for a series I was planning to write, we visited the Drayton Hall Plantation. The main house was so big and fancy, while the slave homes were just one or two room shacks where up to a dozen people would sleep. It's hard to understand the mentality of a slaveowner and how they could in good conscience treat other people as they did. 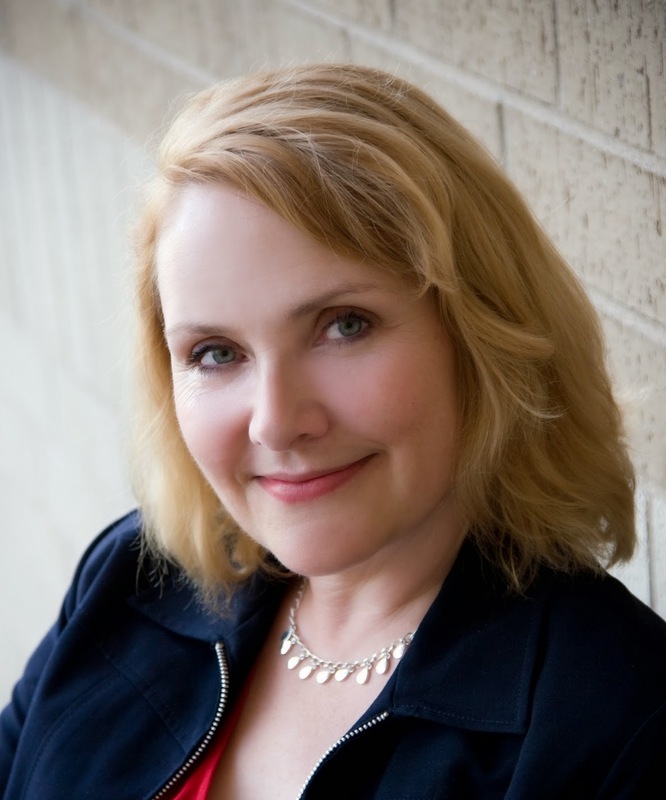 A fascinating account of a painful past that we still struggle with today. Your opening photograph of the terraces leading down to the water is spectacular, but I ache thinking of how it was originally created. This is one of those posts that stir my heart. Thank you so much for sharing this interesting and informative post, Nancy!